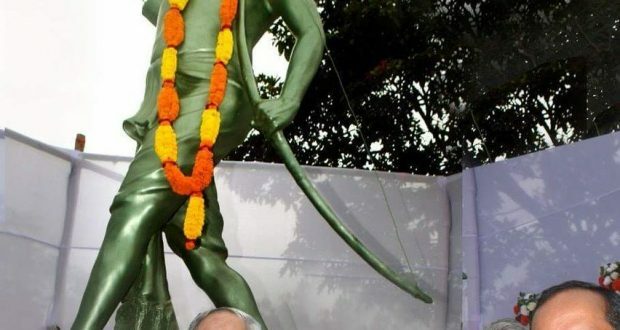 Bhubaneswar:9/8/18; Odisha Chief Minister Naveen Pattanaik on Thursday unveiled a life size statue of Veer Birsa Munda at Chandrasekharpur here. 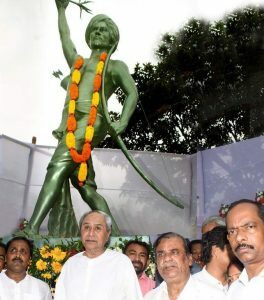 In a colourful function organised by the Department of Odia Language, Literature and Culture marking the World Day for Indigenous People, the Chief Minister unveiled the statue of the firebrand revolutionary, who courageously participated in India’s Freedom Struggle and has been regarded as a symbol of Tribal empowerment. The Department has spent Rs.10.10 lakh for the installation of the statue. Among others, department minister Ashok Chandra Panda, Bhubaneswar MP Prasanna Patsani, Bhubaneswar MLAs Priyadarshi Mishra, Bijoy Kumar Mohanty and Mayor Anantna Narayan Jena were present.